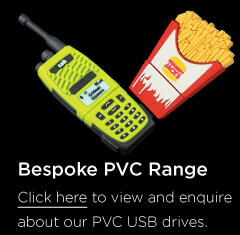 USB Drives - The future of promotional marketing products. Do you remember when USB drives or "ThumbDrives" were first being released into the public? when IBM and Trek technology began production of USB drives in 2000. When people were fighting for the right to produce and sell flash drives and several lawsuits were raised by large manufacturers of usb drives. 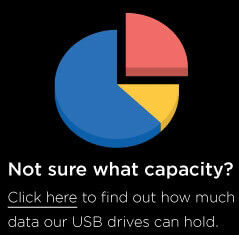 As USB Drives became more of a mass produced item and were further refined into USB 2.0 (an even faster more flexible platform for managing and storing files, data & documents). 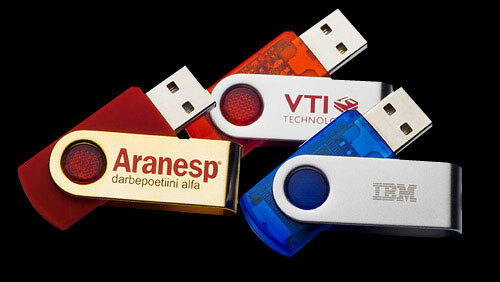 Today people are utilising usb drives to promote their organisations, groups, charities and small business ventures. A printed usb may be percieved as far superior than a pen or even a business card when comparing promotional items with one and other. 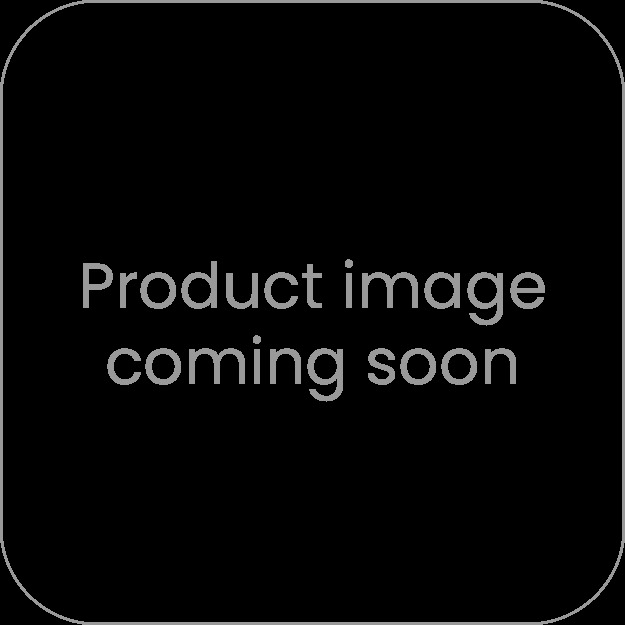 The important thing is to choose the right usb drive for the job, and the USB swivel design above is a perfect flash drive for the job. Large imprint area, practicality and capless design make this USB drive the most popular drive in a range of usb drives that is fast growing! 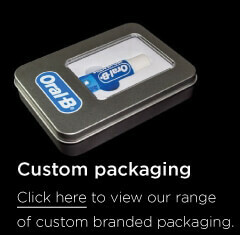 # Long lasting reminder of your brand, company or business. # Highly usable item in day to day computing. # More people carry usb drives with them now than ever before. 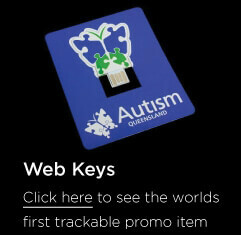 # Attachable to a keyring or car keys meaning your logo can be carried anywhere. Occasionally the colours carried in stock will not match a corporate colour scheme or theme, for these requirements the plastic shell can be pantone colour matches to a specific colour (with a plus or minus 5% tolerance of course). 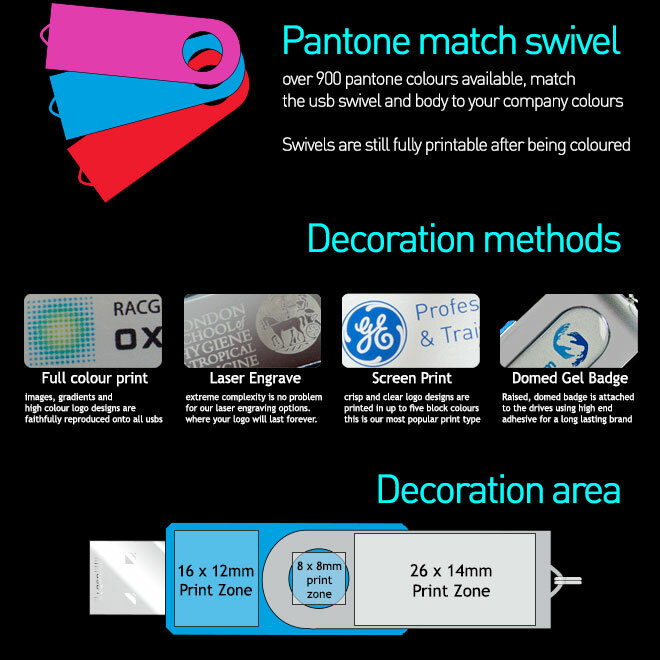 This is excellent to create that special promotional usb drives for your next promotion, event or marketing expo.